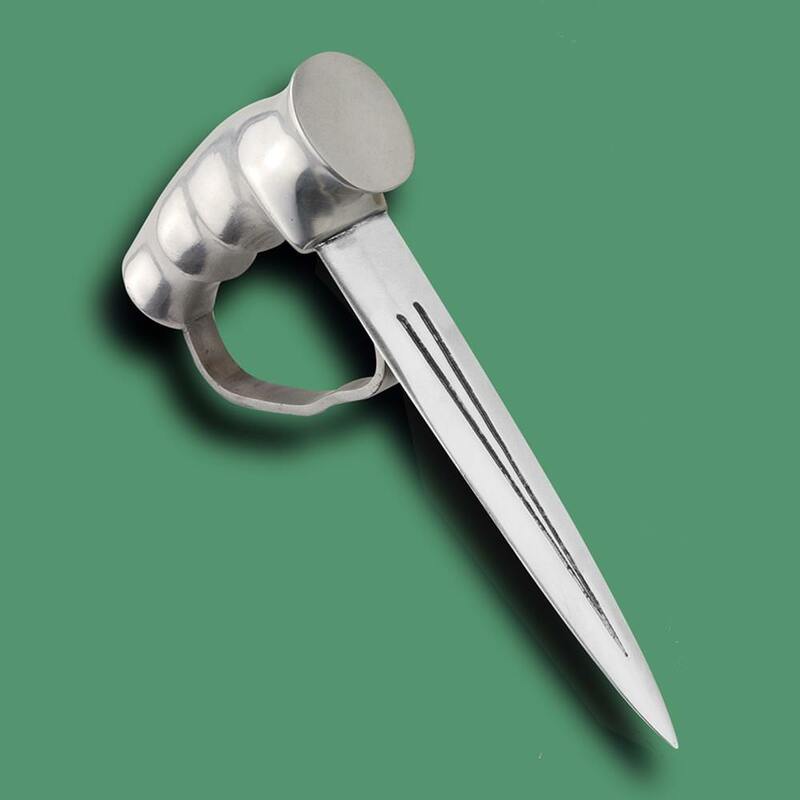 A great replica of WWI Robbins & Dudley Push Dagger. Just ordered mine and thought I would give the push dagger fans in the crowd a heads up. FYI and Merry Christmas! 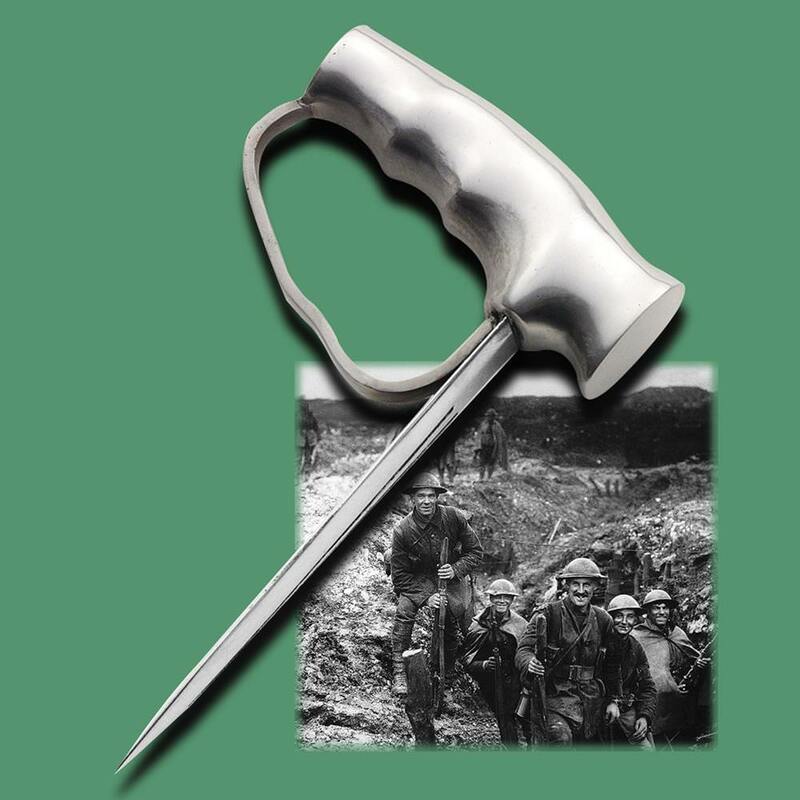 During WWI the firm of Robbins and Dudley filled the “Tommy’s” need for easy to use in close quarters fighting knives. They made at least 10 different models and we’ve reproduced the 2 most popular versions. Designed for easy manufacture these knives were all private purchase by individual soldiers. This push dagger was designed for stabbing from behind with a natural movement (great for unskilled knife fighters) with the high carbon steel blade held orientated horizontal to the ground (point is sharp, but edges are not sharpened). Includes standard top-grain leather scabbar sewn with waxed linen thread and brass hardware. Cannot be shipped to CA or MA. 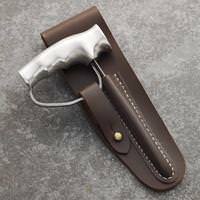 This reproduction Robbins & Dudley “Sam Browne” belt scabbard fits the Push Dagger. Made of top-grain leather with all brass hardware and sewn with waxed linen thread. Very nice! Not that I need more stuff...but that would be a sweet addition to the collection. Maybe I'll pick one up this summer, I like the rare items! !